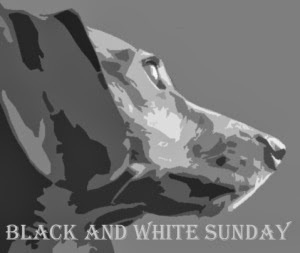 It's been a while since we've done a Black and White Sunday. 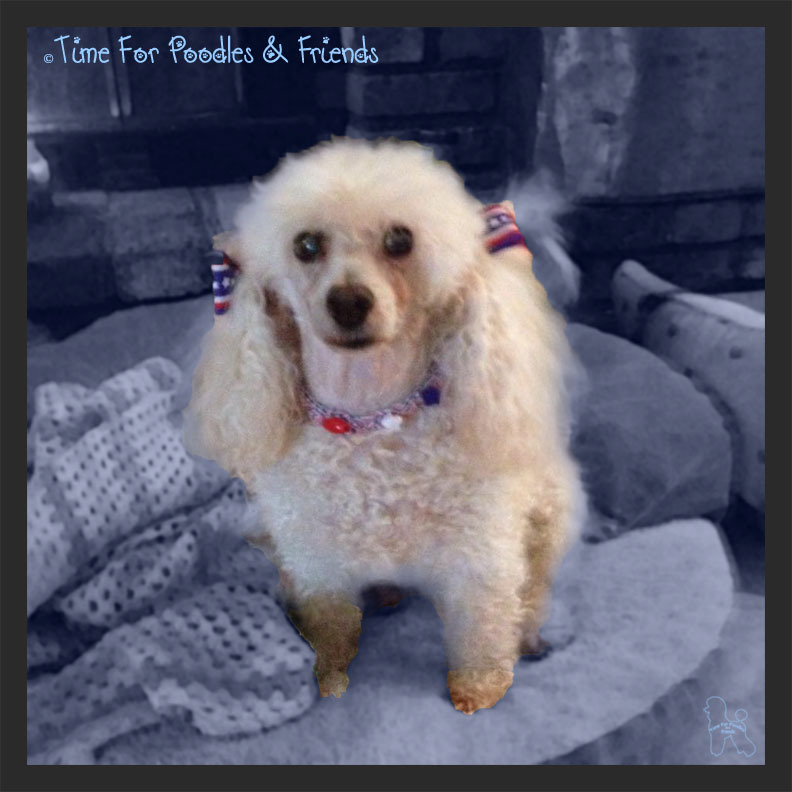 And I know this is the first time our Senior Poodle, Millie has had a picture on here. I thought the old girl looked pretty good in her 4th Of July collar and bows, that I did a compromise. The background went neutral but I kept Millie in her color. We took this with and IPhone, so the pixel quality isn't the best. But you get those pics when you can get those pics, I guess. I used Photoshop for the final work. And I really liked how her collar came out. I crocheted a very thin grosgrain ribbon and it made a perfect collar. The beads were from my stash of crafting stuff.